There are many smaller homes and cottages on the Outer Cape that are crying for updated kitchens. Often the smallness of the kitchens make doing serious updates nearly impossible. As a Realtor, I've learned that kitchens sell homes, so the kitchen needs to look good. 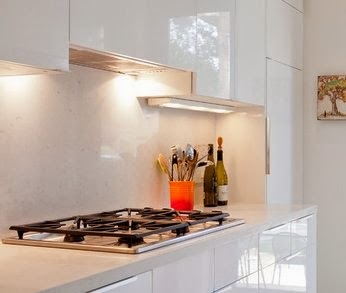 The website Houzz.com has put together 10 great ideas that should go a long ways to bringing older kitchens into the new millennium. Check out these ideas here. My 2013 Year-End Report Is Available Now! My February 2014 market report is available now! This issue has my 2013 year-end market report on Eastham's sales. There are a number of recent articles that you should find interesting. Additionally, there is an article about 'bad' real estate photos. 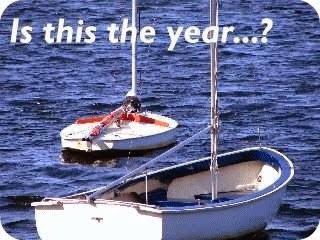 This newsletter has been published every month for almost 11 years. My aim, with this newsletter, is to provide accurate sales and market information about the Eastham housing marketplace, to add commentary and opinion (as appropriate), and to keep it interesting. Download your copy of my February newsletter now. Not really a photo, but rather a video. The sunset last night was particularly dramatic after a fairly blah day. Check out the video below from the Cape Cod Times. Notice that on January 15th, there were surfers enjoying the day on Coast Guard Beach. With mortgage rates rising as the result of the Fed's 'tapering' and home values rising due to shortages (in some locales), sooner may be better than later when it comes to selling your home. Read the article on the Wall Street Journal's MarketWatch website..... Here. The article makes a strong case that 2014 will be a great year to sell your home. The right whales, once near extinction, have come back to Cape Cod Bay for their mid-winter break. Every year is different, but this year seems especially good for these sea creatures. Last year we had an (according to scientists) unusual mid-winter birth in the Bay, where scientists feared for the life of the calf due to the cold water temperatures. The calf was spotted well into the warmer weather so their fears were allayed. 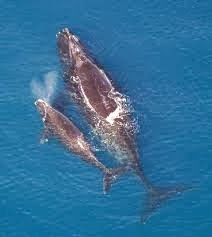 The estimated total right whale population is about 510. Thoughts are that about half of them frequent Cape Cod Bay. Wow! Check out the article from the Cape Codder... Here. 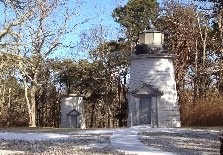 There were 8 homes sold in Eastham in December. The median sale price in December was $383K. There are currently 84 active single family listings in Eastham, with an average list price of $658K and a medium price of $484K.